Home » Blog » Should You Take the Employee Buyout Option? All around us, companies are restructuring. Maybe artificial intelligence (AI) and algorithms are taking over, maybe a new CEO comes in and changes everything, or maybe market conditions are forcing an employer to downsize. Whatever the cause, a wave of buyouts might be on the horizon. How would you react if an unexpected buyout offer landed on your desk? Usually, these buyouts are offered to encourage the voluntary departure of employees when a company is looking to reduce their workforce. While these offers can cover employees across all levels of experience, they are often structured as early retirement packages and geared to older workers. So, would you take a buyout? How do you decide? There’s an old saying that there are only two things in life you can count on: death and taxes. The wisest of us count on a third thing throughout our lives: change. In fact, it’s been said that change is the only constant in our lives. As we grow and change, we learn to control our reactions to whatever life throws at us, no matter how unexpected it may be. That may be most true in the case of our professional lives, and especially true in light of today’s rapidly changing workplace. Undoubtedly, getting an unexpected buyout offer is an emotional experience. 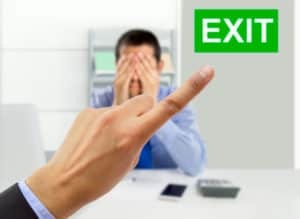 Since they’re usually offered to older workers, you may be facing the prospect of walking away from a company you’ve worked for most of your adult life, including leaving the friends that you’ve made along the way. It can be difficult to make a rational decision in such emotional circumstances, so the first thing to consider is consulting with a financial planning expert who can provide an objective analysis of the situation. In today’s world, there are financial planners who have counseled so many clients through these buyout offers that they’re now considered industry experts on the topic. Find one of those financial pros. They can assess your current financial situation, make projections based on the terms of the buyout offer, and help you decide whether it’s in your best interest to take the offer or not. Taking the buyout offer may be the right thing to do. What are the pros and cons of accepting such an offer? First, if you’ve been offered a buyout, recognize that there may be a metaphorical target on your back. Your position has been deemed expendable. Depending on your age, that may be reason enough to take the offer. If you’re within 5 years or so of minimum retirement age, experience shows that you’ll be out of a job within a year or so whether you take their offer or not. Most financial planners will take that into consideration when analyzing options and recommendations. Broadly speaking, the first buyout offer is probably going to be the most generous, and you may be too close to your career end to take chances with turning down a settlement package that can help meet retirement goals. If you’re more than 5 years away from retirement age, your best bet might be to compete for another job within the company. Secondly, if, based on your years of service, you’re just on the cusp of meeting the criteria for a benefits package that includes more generous health care coverage, qualifying for earlier pension payouts or other benefits, it may be in your best interest to stick around until you reach that milestone. A qualified financial planner with experience in corporate buyouts can help you determine how to get the best long-term financial benefits. The best decision depends on your individual circumstances. If you’re not in an “on-the-cusp” situation, and your prospects for employment elsewhere are limited, you might want to ask for additional incentives that include training and job search help. If that fails, your best bet may be to stick around and find a new professional path within your current company. Finally, no matter your age, consider that this unexpected buyout offer could be a great opportunity. No one likes the idea of losing their job, but a generous buyout might be a great opportunity for you. If you will continue to work and you find a new job quickly, then the buyout becomes a nice financial bonus for you. If you’ve always wanted to start your own business, the cash from the buyout becomes your start-up capital. If you were looking to retire in the near future, this could be just the opportunity you were looking for. Buyouts are not all bad, they’re just an unexpected change. Many people are overjoyed to accept their company’s early retirement incentive, especially if their financial planner has been able to help them see the silver lining. If you haven’t already done so, establish a relationship with a financial planning professional you can trust. Make sure you have a clear understanding of your current financial position and reach out to your planner to test different scenarios so that you’ll know what to expect and how to react when a buyout offer lands on your desk. 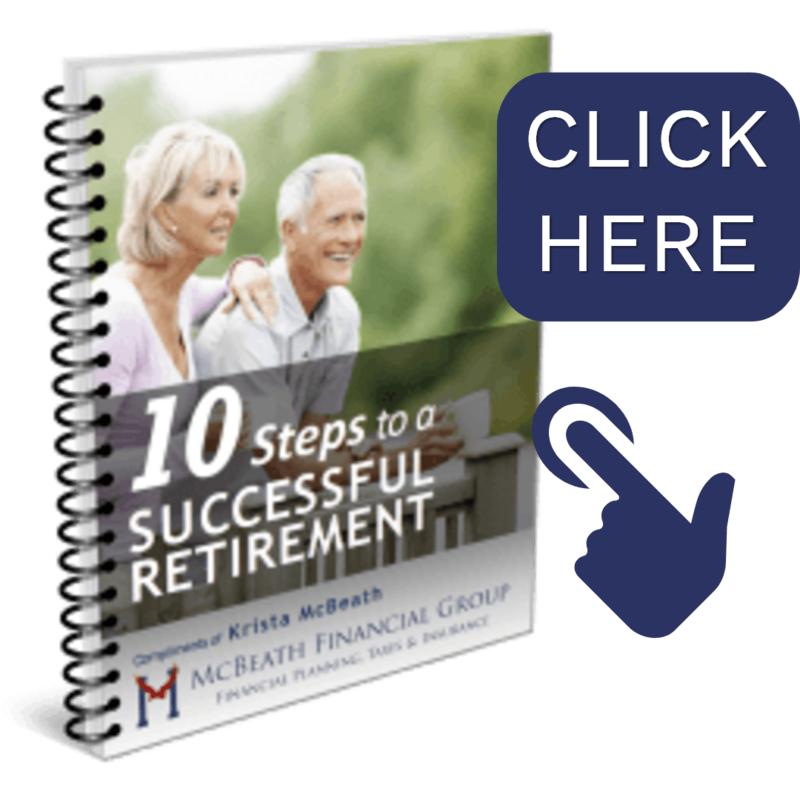 McBeath Financial Group provides comprehensive retirement planning with a focus on evaluating early retirement options for corporate employees.